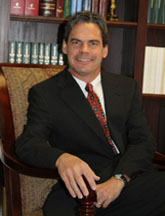 Brett, a partner of the firm, was born and raised in the Oklahoma City metro area. He has been litigating in private practice since graduating from law school in 1993. Brett has represented individuals and national companies as lead counsel in numerous cases handling all aspects of litigation. Brett has been active in the community and with various Bar Associations.